"Alrighty, then!" You know Jim Carrey's iconic catchphrase from the cult classic, Ace Ventura: Pet Detective. Well, that famous line turns 20 years old today. 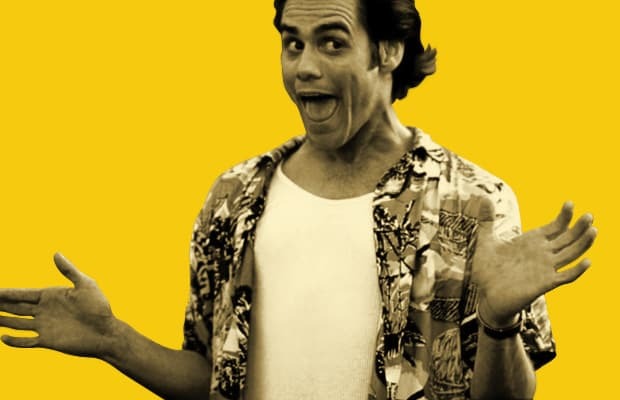 More than just a memorable comedy, Ace Ventura is a crazy way of life. One that, if you so choose, doesn't have to stay on screen. Need a bit of fuckouttahere confidence? Take some crucial life cues from the wild man himself. Whether you're annoyed with a waiter or you're dealing with a failing relationship, pull an Ace Ventura and feel yourself being set free. For starters, here's "Ace Ventura: Pet Detective" Dialogue Into Your Everyday Life.